Growing tomatoes in soil covered with a living mulch or cover crop is an innovative way to protect the tomatoes and feed the soil quality naturally. 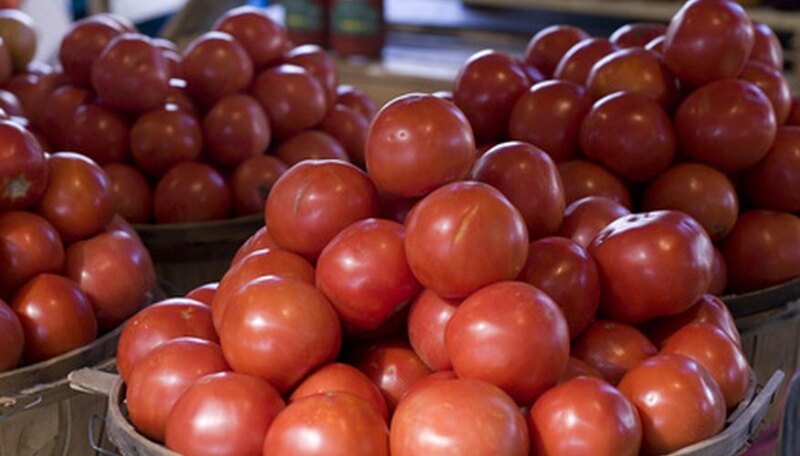 Tomatoes are best paired with a low-growing, shade-tolerant, bushy cover crop such as red clover. The clover will keep down weeds, hold moisture in the soil, add nitrogen to the soil and keep water and soil from splashing up onto the moisture-sensitive tomato plants, according to Dr. Mary Peet at North Carolina State University. Clear the planting bed of all weeds and plant material, soil clods and stones. Plant your tomato plants in the spring after the last frost and allow them to establish themselves in the soil alone for four to five weeks. Push the cover crop seeds into the soil areas flanking your tomato plants. Bury the seeds at the depth recommended on the packet label. Water the seeds in well to drench the soil but not displace the seeds nor splash the tomato plants. Water and fertilizer your tomato crop as usual, allowing plenty of water for both the tomatoes and cover crop so neither experiences drought stress. Till the cover crop into the soil at the end of the growing season when the pants have died back. Select another type of living mulch when planting the following year in the same site.